GearBrain reviews one of the best OBD2 scanners, or code readers, that provides a ton of real time data to help you run your vehicle smoothly. Pros: Good insights, real time data, easy to connect to car, powered by vehicle, can save money on repairs, protective casing and lightweight, desktop software to help manage vehicle's maintenance reports, DTC Lookup feature to understand codes, universal usage, multi-languages and works with light-duty trucks. Cons: Too complicated to read device for average consumer, poor user instructions and hard to follow on-screen codes. If you are a car enthusiast, and are looking for a good OBD2 scanner, you need to check out Foxwell's NT301 OBD2 & EBOD Code Reader. This robust OBD2 scanner is no ordinary OBD2 device. It's compatible with any car: SUV, light-duty truck or a minivan manufactured worldwide from 1996 and on. Its multilingual menu options and DTC definitions help read or erase DTC or engine fault codes as well as I/M readiness. The code reader also provides on-screen DTC definitions and has a built-in DTC look up library to help you accurately determine why the check engine light turned on in your car. The Foxwell OBD2 code reader has red-yellow-green LEDs, along with a built-in speaker, to help read the emissions' monitor status which will help get your vehicle ready for your car's emissions test. The device also helps you catch any intermittent problems with your vehicle and confirm repairs during a drive cycle. Not many OBD2 devices offer this feature. The code reader has an automatic VIN acquisition and decoding capability to make it easier for you to read the manufacturer's specific codes and enhance mode 6 data. You can also easily read freeze frame data, clear codes and reset monitors. A nice feature of Foxwell's NT301 OBD2/EBOD Code reader is the device doesn't need a battery to operate. Just plug the code reader into your vehicle's OBD port and it will turn on automatically. The gadget also comes with a three-foot-long cable which makes it easy for you to sit in the driver's seat and read the device while your vehicle is running. The OBD2 device is very sturdy and has a heavy-duty rubber protection around the sides. This helps protect the device in case you drop the reader or put it down on a rough surface. 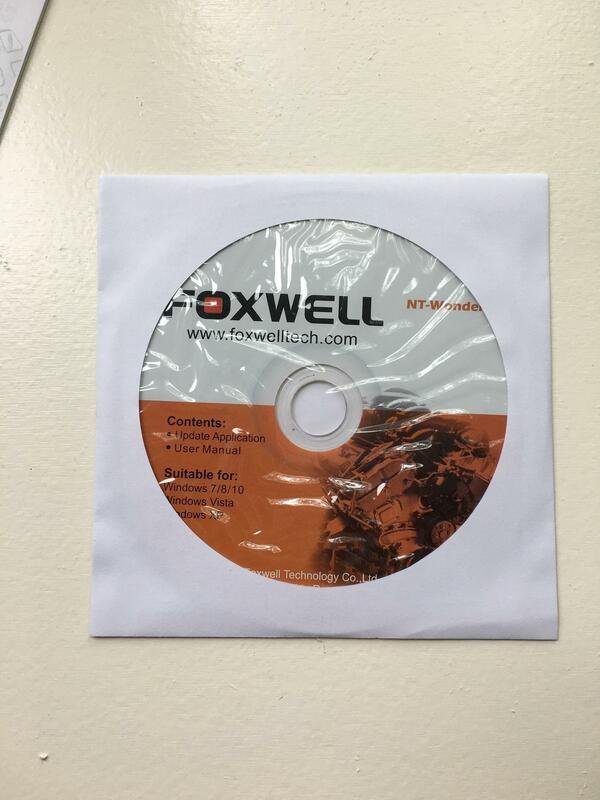 Foxwell NT301 CAN OBD2/EBOD Code Reader weighs 10.4 ounces and is 8.7 inches x 3.1 inches x 6.7 inches. The code reader has a 2.8 inch TFT color screen to make it easy to see the data. In the box, you get the code reader, a USB cable and a disk. The USB cable is used to connect your Foxwell NT301 OBD2 Code Reader to your computer. The disk is the software you can download onto your laptop or desktop computer. It works with Win98/NT, Win ME, Win2000, WinXP, VISTA and Windows 7 operating systems. You will need to make sure your computer has an Intel PIII CPU or better, at least 64MB or better of RAM, 30MB or better of hard disk space and a display monitor with 800x600p, 16-byte true color or better. These features are needed for you to use the disk to store your vehicle reports generated from using the Foxwell NT301 OBD2 code reader. Why is this a good OBD2 device or code reader? First, Foxwell NT301 is specifically designed to support all 10 OBD2 service modes, including live data, O2 sensor test and more for OBD2/EOBD compliant vehicles which includes all cars, SUVs, light-duty trucks and mini-vans manufactured from 1996 worldwide. Second, it comes with a very comprehensive User Guide to help you understand how to use the device, as well as interrupt what the code readings mean. At first, we were very confused by the readings: We are not car enthusiasts nor mechanics. 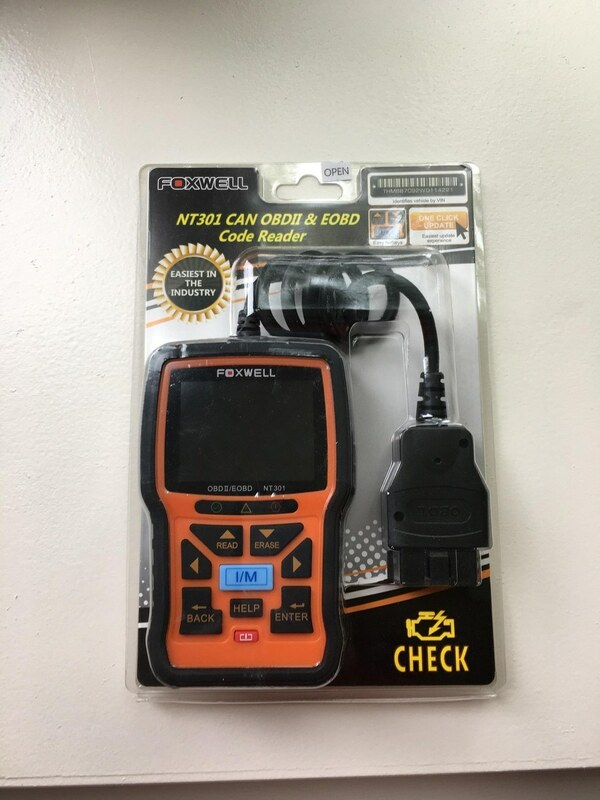 But after reading the User Guide, and testing the Foxwell NT301 OBD2 Code Reader, we found we were able to easily decipher the codes for our vehicle, and found the car was in good shape, if not great. 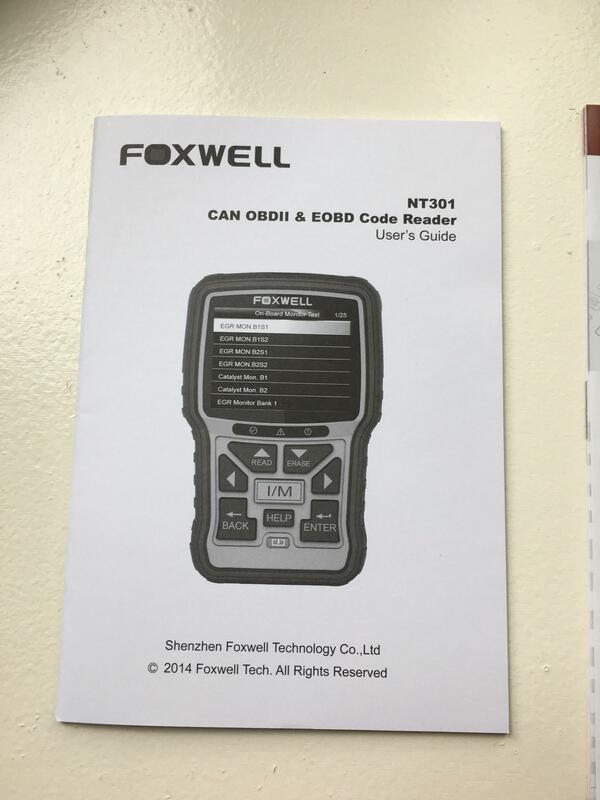 One main key feature of the Foxwell NT301 OBD2 code reader is its emission reading capabilities. Today, when you go to have your car inspected, one of the key tests the mechanic will run is on your car's emissions. They do this by hooking the vehicle up to an OBD2 device to read codes—reading emissions is not something done anymore. Foxwell NT301 OBD2 makes it very easy for you to test your emissions system—before you go in for the test—to see if you will pass or fail the inspection. It will also alert you of any problems, so you know what you need to do to have your car serviced prior to getting inspected. Besides the OBD2 Code Reader, you get a disk with the software that downloads your OBD2 Code Reader data, and keeps your reader updated on the latest codes. We downloaded the software and then connected our Foxwell OBD2 device using the USB cord which comes in the box. This is a nice feature, especially for the car enthusiasts who want to stay on top of their vehicle's health. If you do use this feature, I would recommend deleting the last reports on your Code Reader after you download them to the computer. The Foxwell NT301 OBD2 Code Reader is a valuable tool for today's car enthusiast. The device keeps you informed of your vehicle's health, is easy to use, and helps monitor your vehicle's emissions. The Foxwell also provides a tremendous amount of data on your car when compared to other OBD2 Code Readers or scanners, which you can easily manage through the desktop tool. However, the Foxwell NT301 OBD2 Code Reader might be intimidating to consumers who are not comfortable around cars, or intimated by working on an engine. To use the device successfully, you so need to get comfortable with reading and understanding the codes your OBD2 device generates. This might take a one or two tries. 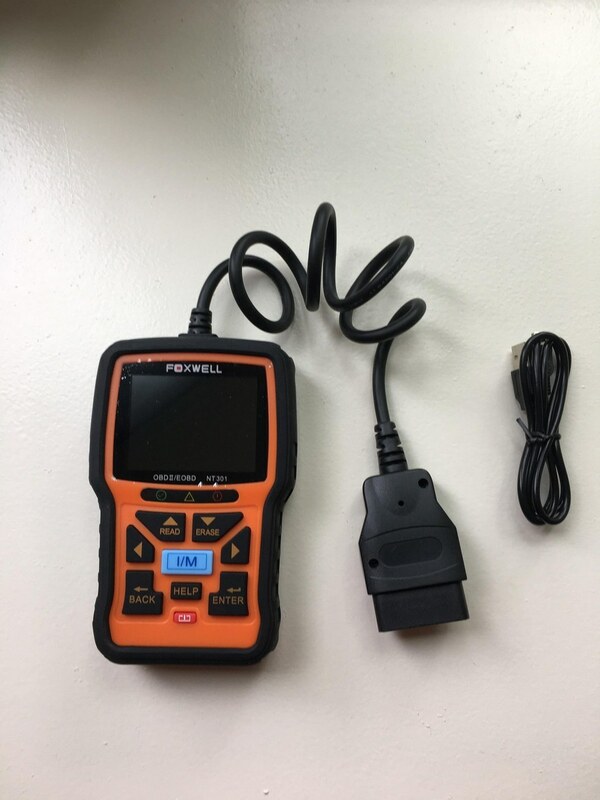 But if you are comfortable changing your car's oil, or the spark plugs, then Foxwell NT301 OBD2 Code Reader is a option for your car's tool kit. If you pop the hood and don't know where to start, you might be better off with a less imposing OBD2 device like Verizon Hum which has a mechanic's hotline to walk you through some of your car's mechanical problems.